Afghanistan, Durrani Dynasty. Shah Zaman. AD 1793 to 1800. 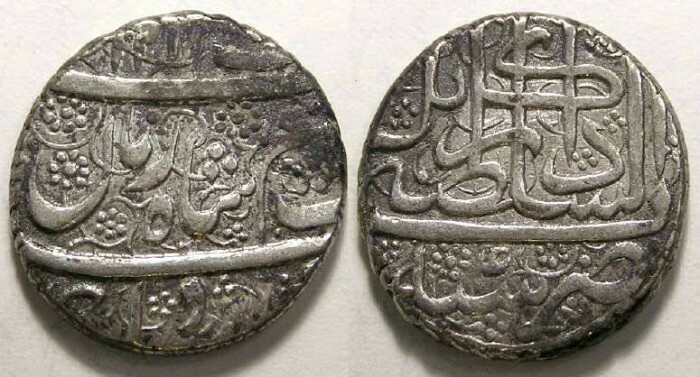 Silver Rupee. Durrani Dynasty. Shah Zaman. AD 1793 to 1800. Date : AH 1211, regnal year 4 (AD 1800). Mint : Kabul. Reference : Mitchiner Islamic-2206 - 7 variety. Size : 23.0 x 24.8 mm. Weight : 11.50 grams.